CEDAR FALLS, Iowa (AP) — Sen. Joni Ernst on Wednesday denied allegations leveled by her ex-husband that she had an affair with a subordinate while she served in the military. The Iowa Republican answered questions from reporters about that and other allegations at a town hall event on the University of Northern Iowa campus in Cedar Falls, the Des Moines Register reported . In the court documents, Ernst’s ex-husband, Gail Ernst, accused her of having an affair with one of her soldiers while she was deployed as a company commander. She said Wednesday that she cares “about all of my soldiers” that the allegation was not true. 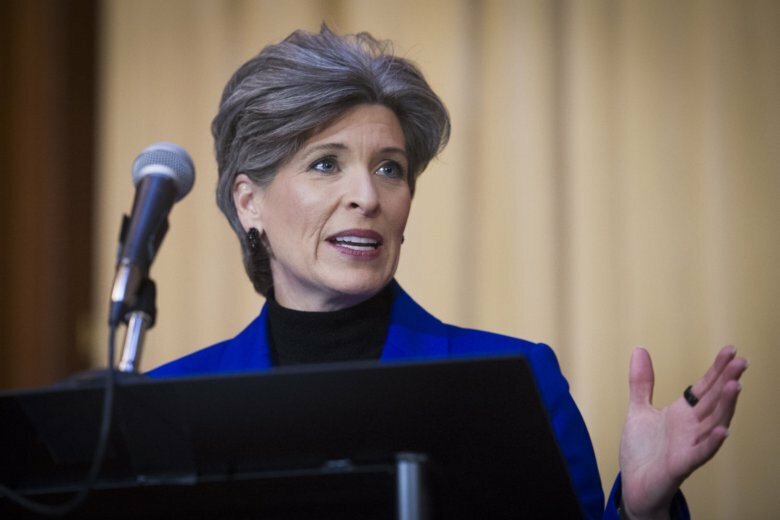 Ernst also accused her ex-husband in divorce documents of having an affair and physically assaulting her during an argument before she was elected to the Senate. Gail Ernst denied in court documents that he had an affair, but the abuse allegations were not addressed. A working phone number for him could not be found, and his attorney on Tuesday declined to comment. Joni Ernst said Wednesday at the event that she believed the court documents would be sealed from the public and was caught off guard by news reports on the allegations. In an emotional interview with the Register, Ernst said she has always been a strong supporter of survivors of domestic violence and sexual assault. She said people will now likely view that work as coming from not just a lawmaker but also a survivor of abuse. Ernst, 48, has indicated she’ll run for a second six-year Senate term in 2020.